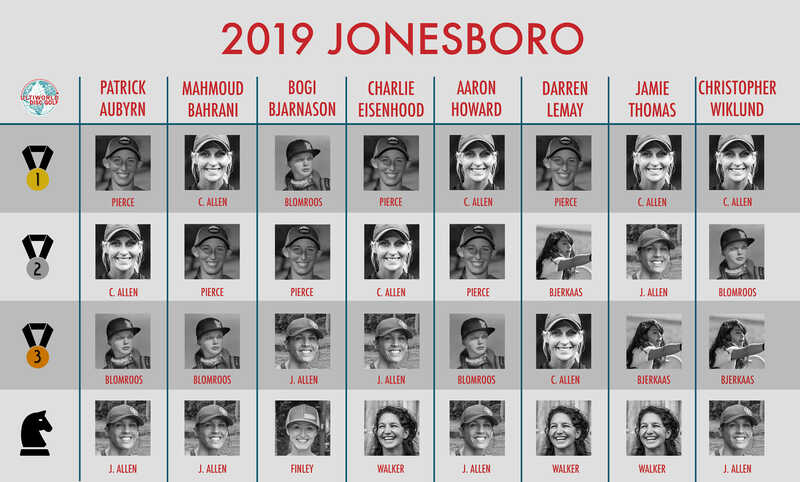 If three weeks of entertaining (and sometimes controversial) A-tiers haven’t whet your appetite for the Jonesboro Open, well, maybe you’re in the wrong place. Since WACO there have been 10 A-tiers featuring variable contingents of the elite field.1 Of the 20 total winners, only two posted multiple Ws: Calvin Heimburg and Ellen Widboom. That duo went back to back in Jacksonville and Tallahassee, but only the Heimborg is registered for this weekend’s affair. 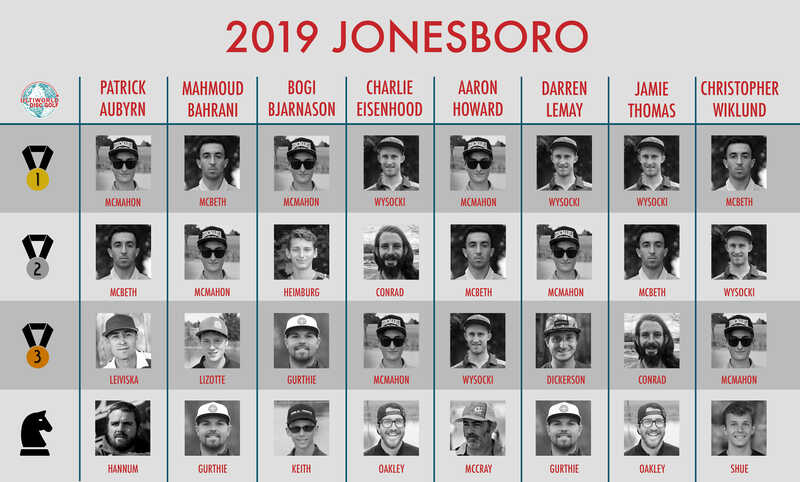 Ricky Wysocki and Paige Pierce are two-time and reigning Jonesboro Open champions, but neither has a signature win under their belt in 2019 against the full touring field. Working in their favor? Of the three top tier events contested this year, we’ve seen zero repeat champions. We also know that the Disc Side of Heaven course has the ability to shake things up. Last year the top 10 in MPO was an especially diverse crowd with some big names (and big arms) on the outside looking in. With the women’s field doubling in size from 15 in 2018 to 30 this year, we hope for similarly intriguing results in both divisions. That said, our hopes don’t really align with our expectations as demonstrated by our collective tendency to go chalk with our picks this week. Charlie Eisenhood and Jamie Thomas made their picks on The Upshot, now the Ultiworld Disc Golf writers have their say. We’ve tightened the reins, so to speak, on Dark Horse candidates this week. As always, we’re excluding the top eight in FPO and the top 15 in MPO from the Power Rankings. The new twist? Any players falling outside the top 8/15 who are rated 950 or higher in FPO and 1030 or higher in MPO can’t bat DH. Sorry Henna Blomroos, Chris Dickerson, Matt Orum, and Michael Johansen — y’all too good. Five of our eight UWDG contributors picked a player to make the podium who has yet to play a sanctioned tournament in 2019, has never played golf in the United States, and will have just arrived in the country several days before the event starts. But Henna Blomroos’ reputation precedes her, and the Finnish force already has the respect of the panel. Our lone European picker, Bogi Bjarnason, went as far as to choose Blomroos to win in Jonesboro. It’s safe to say, we expect a lot of Eveliina Salonen’s touring partner and toughest continental competitor. Pierce just had a walk-off eagle win, shot a 1059-rated round at Disc Side of Heaven in 2018, and won the event last season by 10 strokes, but her early season play has not convinced everyone that she is the favorite. Catrina Allen received 50% of the first place votes yet is not on every ballot. Jennifer Allen tied for second place last year and is a trendy Dark Horse selection having just met the new criteria this week. Pickers were wary on Paige Bjerkaas, as she’ll be playing the course for the first time this season. Let’s play a little game and assign picks ratings to our writers based on the average player rating of their podium. Patrick: 1046, Mahmoud: 1048, Bogi: 1039, Charlie: 1043, Aaron: 1051, Darren: 1046, Jamie: 1047, Chris: 1051. Clearly, we like a safe bet. Based on the weather forecast for Saturday and Sunday, we might want to revise our podiums based on a player’s ability to rip overstable plastic, the quality of their umbrella, and total square feet of towels in their bag. It should also be noted that the podium’s average player rating last year was 1014. The top 10? Only slightly better at 1020. Sure, Garrett Gurthie was underrated at the time and Eagle McMahon was a middling 1030s player, but it tells you things aren’t quite so easily predicted in Northeastern Arkansas. Does Josh Anthon feel slighted as the only 1040s golfer to go unpicked? 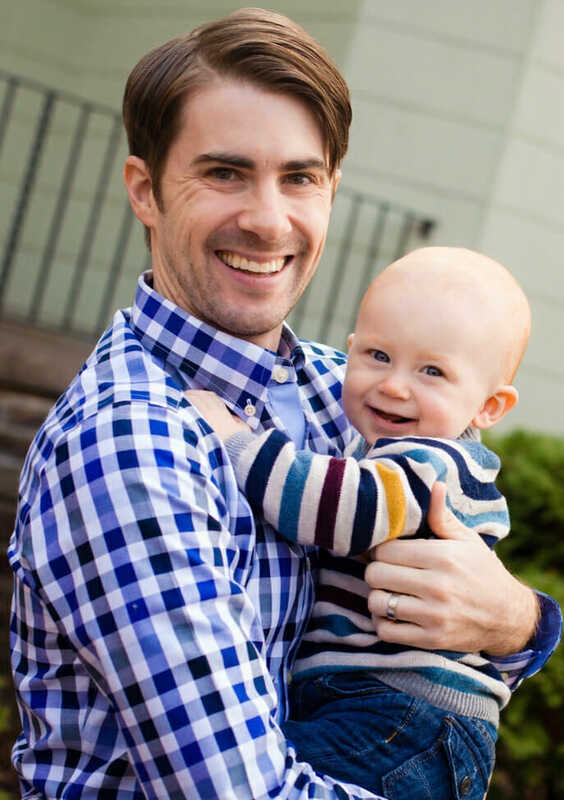 What about 2018 top five finishers Colten Montgomery (T3) and David Feldberg (T5)? We invite the snubbed to play riskier on the course than we did with our picks and prove us wrong! 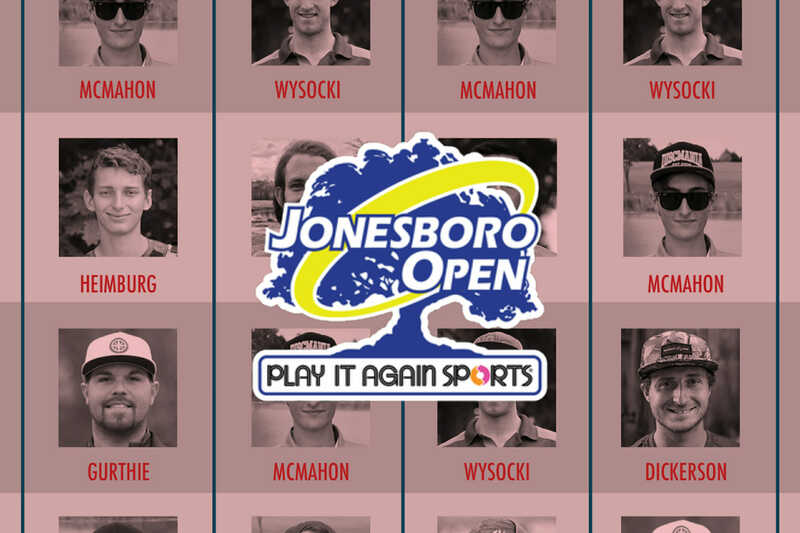 Comments on "Staff Picks: Jonesboro Open"